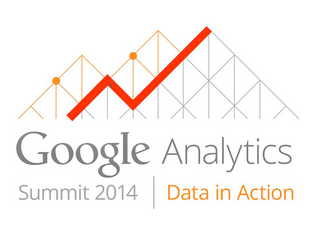 As they have for years, Google Analytics Certified Partners, Premium customers and developers will once again join us in the Bay Area for our annual summit this week. We are constantly working to improve our products based on feedback from our most dedicated users and this event lets us hear directly from our community. We wanted to share an overview of some of the tools and features we’ll discuss at the 2014 summit so that even if you aren’t able to attend, you can about hear what’s next. Google Analytics Ecommerce data traditionally focused on details about the purchase - transaction details, product details, and others. But, marketers today want to understand the entire customer journey. They want more details about customer behavior when looking at products, interacting with merchandising units and on-site marketing. Today we’re announcing the beta for Enhanced Ecommerce - a complete revamp of how Google Analytics measures the Ecommerce experience. Businesses can now gain clear insight into new important metrics about shopper behavior and conversion including: product detail views, ‘add to cart’ actions, internal campaign clicks, the success of internal merchandising tools, the checkout process, and purchase. Merchants will be able to understand how far along users get in the buying process and where they are dropping off. For a complete overview of new features, have a look at our Help Center. For marketers and Ecommerce managers looking to hone their analytic skills, we are also announcing a new Analytics Academy course titled Ecommerce Analytics: From Data to Decisions. Students will be guided through interactive examples of analyses for a fictional retail company to practice techniques they can apply to their own business. You can sign-up to be notified when this course opens on the Analytics Academy site. Today’s marketers and analysts are looking to multiple data sets to gain deeper insights. We’re working on a number of new features to make it simple for businesses to work with different types of data in Google Analytics. We unveiled Unified Channel Groupings to ensure all traffic that comes to the your site are classified in-line with your unique channel definitions. This is especially valuable for attribution, so marketers can interpret and report on the consumer journey based on their unique view of acquisition channels. We’ve expanded the functionality of Google Analytics Dimension Widening, now called ‘Data Import’, to enable customers to import more of their own data into Google Analytics. This could include specific product details, information about returned products, insights about your customers’ preferences, and more. Imported data can be used with almost all of the standard Google Analytics features. For a complete list of the types of data you can import please see our article in the help center (linked above). 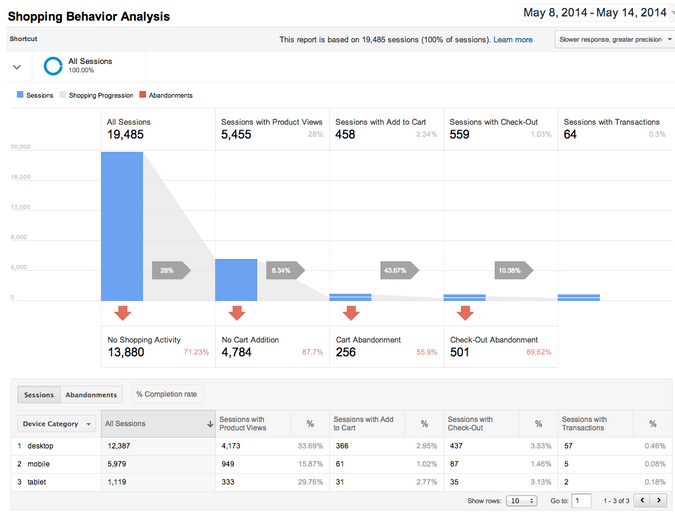 For Google Analytics Premium users, we’re introducing Custom Tables. This powerful feature enables users to retrieve unsampled data using customized tables that best fit their business’ needs. Once configured, fresh data will be available daily for unsampled analysis and segmentation. Today, smart marketers are increasingly tying measurement to media execution. We’re excited to announce a seamless integration between Google Analytics Premium, DoubleClick Campaign Manager and DoubleClick Bid Manager. Google Analytics Premium is uniquely positioned to help today’s advertiser understand how customers, and potential customers, interact with advertising media trafficked on the DoubleClick platform. In addition to understanding impression level data, advertisers can now send remarketing lists from Google Analytics to DoubleClick Bid Manager. Additionally, for enterprise customers, service providers, or developers that manage many accounts we are offering 4 new APIs to help you save you time and increase productivity: the new Provisioning API to create new GA accounts (invite only), the AdWords and Filters API to manage configurations, and the Embed API to surface key reports and dashboards. We’ve also re-launched the App Gallery as the Partner Gallery, the new destination to find services by Google Analytics Certified Partners and apps by Google Analytics Technology Partners. The new gallery will rollout to all users over the coming week. Stay tuned in the next several days for deep-dives about our various new tools and features. You can also sign-up for the whitelist of several of the features listed above here. Thank you to our partners, developers, and customers for all the great feedback over the year. We hope to continue developing and launches capabilities that matters to you most.